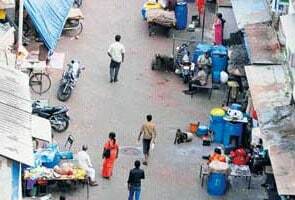 Mumbai: In the second phase of the Census, some of the city's teachers entrusted with collecting data for the exhaustive unique identification project had the task of enumerating the residents of Kamathipura, the largest red-light area in the world. The experience did not elicit an encore from them, as became obvious from their accounts. The teachers, quite bluntly, said it was "embarrassing" to go to a brothel to do the headcount in. Other than the fact that they had a tough time getting details from the prostitutes, they found the vicinity nauseating. Some fell sick in the "cramped, seedy surroundings". There were many hurdles. Fearful and unforthcoming, prostitutes residing in the area refused to give accurate data, bluffing the enumerators with false ages and names. In fact, some changed names from one day to the next, and no one gave their age to be above 30, despite the wrinkles giving them away. One of the teachers from South Mumbai had been an enumerator in the first phase of the Census last year as well. She said that she was so anxious to venture into the alleys of Kamathipura that she took her husband along. But he was mistaken to be a customer, so she went alone the next time. "We had to climb two or three floors in dark narrow stairwells to reach the women living there. Though they were not offensive, it was still scary to enter places with no light or ventilation. At times, I felt I would be kidnapped and dragged somewhere," she said. "We even asked for police protection. But, officials thought prostitutes may not reveal their details in front of cops, thinking the information is so that cops can raid them." The teachers were instructed not to force anyone to give details, but to deal delicately with them, and get the facts right. It wasn't that easy. An NGO's help had to be enlisted. "The NGO Bombay Teen Challenge, that works in the area, helped us interact with them and speak with them in their language. Some of them were Nepali," the teacher said. "It would have been equally difficult for older or male teachers. The buildings were lightless, airless and cramped. It took considerable courage and patience to finally finish the task," an enumerator said. In some tenements, the residents and interiors had changed. In others, girls who were marked in last year's Census were not present. Said another teacher, "When I started Census work here, I fell ill for two days because of suffocation. That is how narrow and unventilated the buildings are. Even in broad daylight, little was illumined in these rooms."